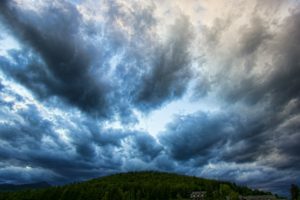 Tips Are You Prepared for Summer Storms? Review your insurance policies to be sure you have adequate coverage for all of your possessions, including those fun summer toys – boats, RVs, etc. Check your coverage for flood, and be aware that policies cannot be changed during active storm warnings and there is a waiting period for flood insurance – prepare now for the inevitable bad summer storm. Visit www.floodsmart.gov for more information. Complete an inventory of important items in your home, including receipts and model/serial numbers as well as photos and even videos, to speed up the replacement process in the event of a claim. Store a copy of this inventory in your safety deposit box along with other important documents. Summer storms tend to knock out power, so be sure flashlights, batteries, water, non-perishable food, medication, pet supplies, first aid equipment, etc. are readily available. When the power goes out, try not to open your refrigerator unless necessary to keep the contents as cool as possible. If the power is out for an extended period of time and the freezer/refrigerator thaws, be aware of food spoilage – when in doubt, throw it out. Contact us in the event of a claim. We’re here to help!